Goal Specific provides professional and personalised coaching for multi sport athletes from the complete novice, to the competitive age grouper. Spring & Summer training camps in the Alps based near Alpe D’Huez. We will build your coaching package to meet your coaching needs. Fran is an experienced sports coach specialising in triathlon. She is a level 3 BTF triathlon coach and is a coach tutor as part of the BTF coach develop programme. Goalspecific was established in 2010 and Fran works with a range of athletes from novice triathlete to age group gold medallists and elite athletes. Fran is also an accomplished athlete in her own right having won 8 medals competing for the Great Britain age group team including 2 European titles. In 2015 Fran won 3 consecutive Ironman 70.3 titles including the European Championship in Weisbaden (40-44) and was world ranked number 1 in her age group. Fran is also the head coach of Tri Purbeck based in Dorset. 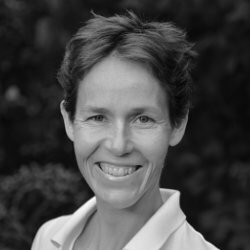 Fran’s coaching expertise and insight comes partly from her own experience, starting as a breast stroking novice in 2007 and developing into one of the country’s top age group athletes whilst working with other experienced coaches along the way. She is BTF coach mentor and is a certified Ironman U coach. She has an excellent reputation as a swim coach adopting the Swimsmooth philosophy through both one to one coaching and her popular swim squads. Ade has always been a competitive sportsman and in his youth he was a top national slalom skier. 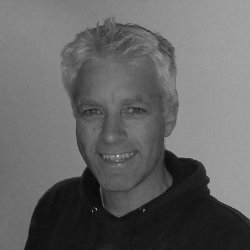 He is a British triathlon Federation level 3 triathlon coach and is part of the BTF coach development team as a coach educator and coach mentor. Through Goalspecific Ade coaches athletes training for Ironman and Ironman 70.3 and at our popular swim squads. Alongside Fran, he organises and delivers coaching at Goalspecific’s range of triathlon camps. Ade is also the race director for Goalspecific/Tripurbeck’s popular junior and adult duathlon and triathlon events. Ade’s professional background is in education and he has developed and delivered leadership development courses as well as professional coaching programmes in education, acting as a coach/mentor for many years. He has significant expertise in working with individuals to set and achieve challenging personal goals.